At SFU Gallery the rhythms of framing space both formally and conceptually centre around the lens. Here works interrogate the frame, seriality and representation. 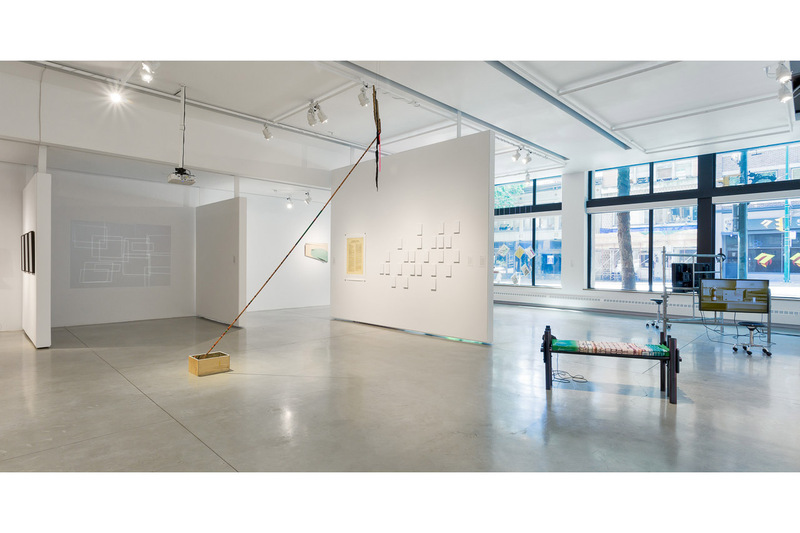 In addition to the exhibition, past student campus projects by Reta Koropatnick, Yi Xin Tong and Vikram Uchida-Khanna are remounted outside the gallery. These rhythms extend to the Audain Gallery where literary practices, performativity, activism and the aura of industrial film are taken up. Photography, via the archive, re-emerges at the Teck Gallery as an installation to articulate social arrhythmia.In addition to the exhibitions, a multi-part poster project asks artists and writers to undertake rhythmanalyses from various windows that connect to SFU’s visual art history. From campus gallery windows to studios and artist-run centres, the textual analysis posters will be distributed back into the locales they describe. Look for these posters at SFU Gallery, Teck Gallery, Audain Gallery, Artspeak, Or Gallery, Unit/Pitt Projects, Alexander Street studios and the Perel Building. Writers are Patrik Andersson, Colin Browne, Brady Cranfield, Sharon Kahanoff, Laiwan, Kathy Slade and Urban Subjects.